How much light succulents need depends on the type of plant and where you live. Most haworthias and gasterias prefer shade but can handle some sun along the coast. Many but not all cacti are fine in full desert sun. As a general rule, the majority of soft-leaved succulents want half a day’s sun (in mild climates) and dappled or “bright” shade. Light is essential to any plant’s survival, but too much can damage it. Too little can ruin its shape. Providing optimal light often comes down to observation. This aloe closed its rosette to protect it’s vital core from too much sun and resulting dehydration. Pigment similar to that of autumn leaves protects it from burning. The plant is “stressed” — not necessarily a bad thing. It’ll recover when the rains come and sun is not as harsh, just as it would in the wild. This large agave in my garden has leaves that bend and curve. Stretched cells are vulnerable to sunburn. There’s nothing I can do to prevent it, short of trying to move an enormous succulent or planting a tree to shade it. I don’t like looking at burned patches, so I trim the damaged leaves back to the trunk. These neglected echeverias have flattened their leaves to expose more surface area to available light. The plants’ are coping as best as they can to being indoors. The answer is not to put them outside in full sun because they’ll burn, just as you would if you’re pale then sunbathe too long. They’ll need to be “hardened off” to greater sun gradually. Hot, sunny days came on the heels of spring last year, and plants in my garden didn’t have time to adjust. I could have prevented sunburn on these aeoniums if I’d tossed a sheet or frost cloth on them. They eventually outgrew the damage, but it was evident for months. This Agave ‘Cream Spike’ has recovered from sunburn. You can still see the damage on the outer leaves, but new growth is fine. Here’s another sunburn survivor. The damaged tissue is white and the new growth, green. https://debraleebaldwin.com/wp-content/uploads/2019/01/021_IMG_1194.jpg 3648 5472 debraleebaldwi http://debraleebaldwin.com/wp-content/uploads/2015/04/Logo-White-H200px.png debraleebaldwi2019-01-07 11:27:362019-01-07 15:09:10How Much Light Do Succulents Need? Depending on how long temps stay below freezing (32 degrees F), “frost tender” succulents may show varying degrees of damage. When moisture in the cells of a vulnerable plant freezes, it expands, bursts cell walls, and turns leaves to mush. In a “light frost,” leaf tips alone may show damage. In a “hard frost,” temps stay below freezing for hours, which can collapse entire plants. Succulents typically don’t regenerate from roots. Crassulas, aeoniums, euphorbias, and kalanchoes are among the most tender succulents. A few succulents have a built-in antifreeze that enables them to survive temperatures well below 32 degrees F—below zero, in fact. Agave attenuata grows in gardens, and the plants look like this year-round. Agave attenuata is the first succulent to show damage from frost in winter. In my garden, this soft-leaved agave is the canary in the mineshaft where cold is concerned. A lot of succulents breeze through a brief frost (less than an hour), but leaf tips of Agave attenuata show damage right away. After a brief exposure to 32 degrees, Agave attenuata will look like this. 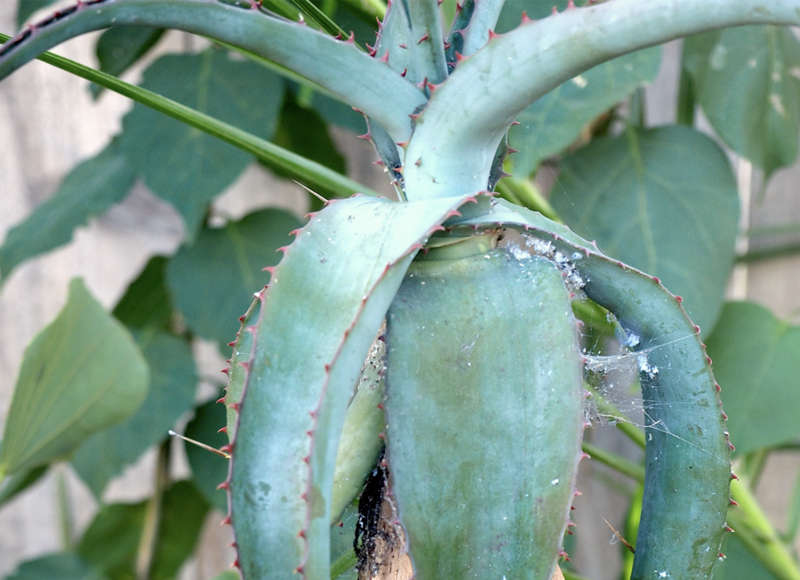 What about an agave or other succulent that has frost damage only on its leaf tips? Don’t bother to trim them. It’ll lose those oldest leaves in a few months anyway. Watch the weather forecast, and if there’s a “frost advisory” for your area, before dark go outside and cover your tender succulents. Frost tends to happen after midnight, with temps getting colder toward dawn. Cold air is heavier than warm, and flows down slopes and collects in low spots. Consequently, succulents in swales are more at risk than those atop berms. You may have heard that Christmas lights raise the temperature a few degrees. Yes, if they’re the old-fashioned kind. Those sold nowadays (LEDs) don’t generate heat. The succulents you have to worry about are those out in the open, with nothing above them. I sometimes stand over a succulent and gaze upward. If there are no tree limbs or eaves directly overhead, it gets draped. I live in the foothills NE of San Diego at 1,500 feet (Zone 9b). And yes, I’ve been outdoors in my pajamas and slippers at 11 pm after hearing the weather forecast on the late-night news, shivering as I throw sheets on vulnerable plants, while my husband holds a flashlight. If frost is predicted for a series of nights, I may leave the plants covered; otherwise, I remove the sheets the next morning. To make sure they won’t blow off, I secure them with clothes pins and rocks. Do NOT use plastic. It doesn’t allow the plants to breathe. Frost cloth protects jades and other vulnerable succulents in my garden. See the video. sempervivums (hens-and-chicks, above) of which there are numerous species and cultivars; certain cacti, yuccas and agaves (like Agave utahensis, A. montana and A. parryi), and lewisias from the Pacific Northwest. Oh No, My Succulents Froze! Likelihood of recovery: Nil. Too much of the tissue was damaged. But what about the Euphorbia tirucalli ‘Sticks on Fire’ behind it? It’s hope of recovery is excellent because only the top growth froze. It protected the stems underneath, which are still healthy. If something similar has happened to your plants, succulent or otherwise, once all danger of frost has passed, prune the dead top growth and the plant will be good as new…except smaller, of course! How about the frozen aeonium below? Pretty much hopeless. But look a the Sedum ‘Angelina’ surrounding it. It’s a succulent too, and perfectly fine! Why does frost kill some succulents and not others? A lot has to do with where a particular kind of plant originated. Succulents, which store water in their leaves to survive drought, are mostly from dry, hot climates. But some are from dry, cold climates. See my Wall Street Journal article on this topic. Remove collapsed leaves if it’s likely they’ll rot, because that threatens the health of the plant. If instead they dry out, they’ll help protect healthy tissue from future frosts. Leave them on, then prune after the weather warms. Chalk it up to experience. Now you know that particular plant is vulnerable and needs a protected location. 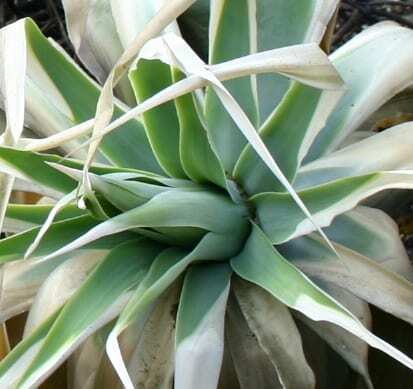 The tips of the leaves of this agave melt at 32 degrees, but the plant is usually fine. Here’s how to make it look good again—only takes a minute! My books have info on growing succulents in challenging climates and how to protect them from frost and excess rain. I also recommend this excellent book about succulents that survive freezing temps: Hardy Succulents, by Gwen Kelaidis, illustrated by Saxon Holt. https://debraleebaldwin.com/wp-content/uploads/2018/03/Screen-Shot-2018-03-16-at-10.14.59-AM.png 956 782 Debra http://debraleebaldwin.com/wp-content/uploads/2015/04/Logo-White-H200px.png Debra2018-10-25 09:00:562018-12-05 09:36:40Oh No, My Succulents Froze! Should you be worried about your outdoor succulents in winter? It depends on where you live. The USDA Plant Hardiness Zone Map is a good basic guideline. However, it doesn’t take into account climate variables potentially harmful to succulents. There’s very little of North America where every kind of succulent will grow outdoors year-round. The “banana belt” is the heavily populated California coast. Of course, you can grow any succulent anywhere if you’re able to replicate the conditions it likes, either in your home or in a greenhouse. But this article is about cultivating succulents outdoors, in the garden, during the most challenging season: winter. Coastal CA from the Bay Area south: You don’t get frost (at lower elevations), and humidity and rainfall are minimal, so simply make sure your succulents get good drainage during occasional rainstorms. My garden is in Southern CA inland, in the foothills NE of San Diego at 1,500 feet (Zone 9b). A freak snowfall happened on New Year’s Day, 2017. When temps rose above freezing, I hosed off the snow. The Agave attenuata at left was damaged but recovered. When a non-gardening friend noticed bedsheets draped over my plants, she asked if my dryer wasn’t working (!). Northwest and Northeast: Protect and shelter your succulents indoors (perhaps in your basement) or in a climate-controlled greenhouse. [On this site, See “Cold-Hardy Succulents for Northern Climates” for exceptions; “How to Grow Succulents Indoors;” and “Winter Protection for Succulents: Products]. Desert Southwest: You get hard frosts, so protect and shelter tender succulents indoors or in a climate-controlled greenhouse. Those that do well for you include cacti, agaves, dasylirions, yuccas and other succulents specific to your region. South: If you get frost, see above. But even if temps stay above freezing, you’ll still contend year-round with trying to grow arid-region plants in a wet, humid climate. Find out which succulents you can grow outdoors in Florida and other states too damp and humid for most succulents. I also recommend this excellent book: Hardy Succulents by Gwen Kelaidis, photos by Saxon Holt. These four ways to overwinter succulents give you several options, depending on how cold it gets where you live. Most varieties can’t handle temps below 32 degrees F.
Some succulents do have a built-in antifreeze. Those indigenous to the Americas, such as cacti and agaves, or to northern climates like many sedums and sempervivums, tend to fare better than those from Madagascar and South Africa (kalanchoes, aeoniums, aloes and crassulas). But no succulents want a lot of water when dormant, nor high humidity at any time of the year. All prefer well-draining soil, bright but not intense light, and good air circulation. 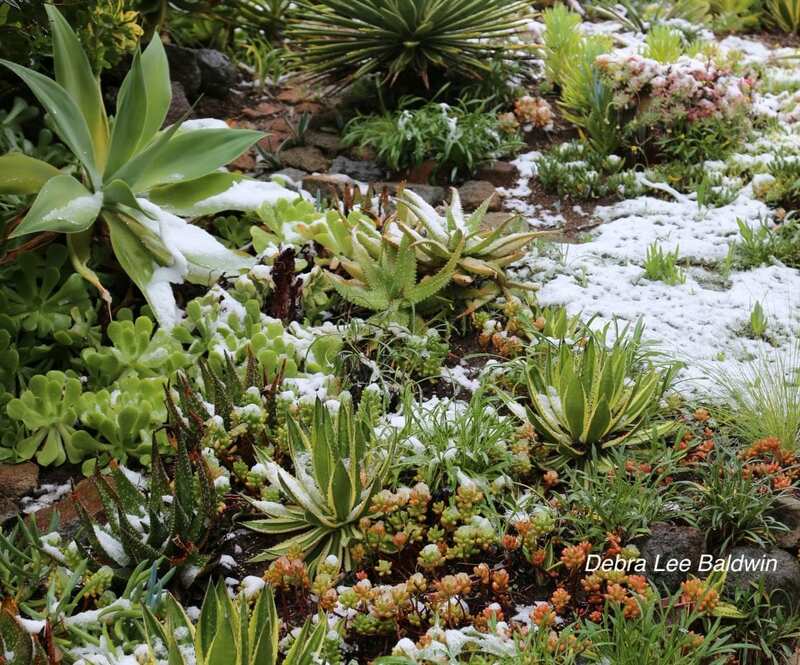 If you live where frost is occasional and lasts only a few hours (inland valleys of Southern CA), cover vulnerable, in-ground succulents with bed sheets when there’s a frost advisory for your area. Or use what nurseries do: Pellon nonwoven fabric or Agribon’s floating row cover. These are made of spun nylon, like fusible interfacing without the fusible part. It will protect about 2 to 4 degrees below freezing. For a bit of extra warmth, use C-9 Christmas light strings (the old-fashioned kind). 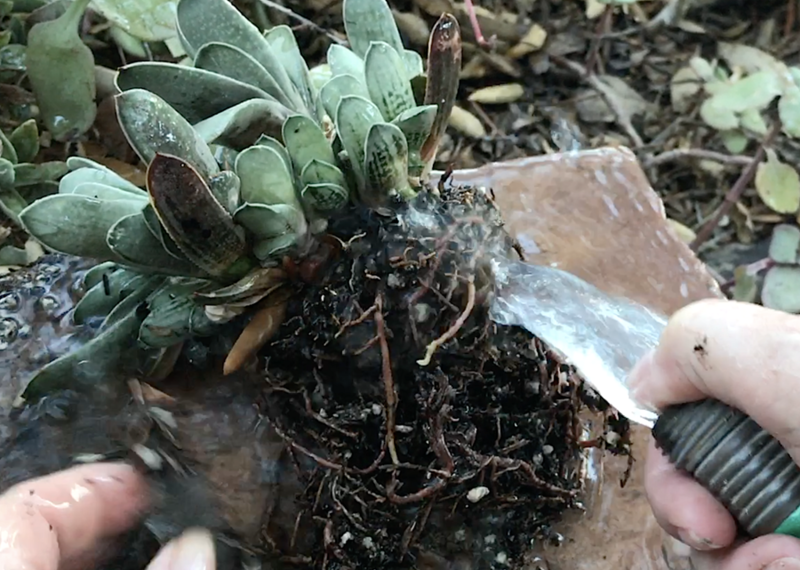 In my YouTube video, Frost Protection for Succulents, I show how I do this in my own garden. In the foothills NE of San Diego at 1,500 feet, it’s subject to cold air that settles in inland valleys. — Don’t peel away dry leaves attached to a succulent’s trunk or stem. They protect it from temperature extremes (cold and hot). — Keep succulents on the dry side. Cells that are turgid are more likely to burst when the liquid within them freezes and expands. — Move cold-sensitive succulents beneath a deck, tree or eaves. Such structures help to keep heat from dissipating and protect leaves from falling ice crystals. — Or place pots against walls, hardscape, boulders and/or shrubs that absorb and slowly release the day’s heat. South- and west-facing exposures do this best. Candy Suter, Roseville, CA (near Sacramento): Midwinter nights may drop into the 20s F but seldom go lower than 25 F. Candy moves her succulents into a small walk-in greenhouse (center) or a gazebo (right), which she covers with 5mm plastic to hold in warmth. She anchors the plastic along the bottom, secures the seams with duct tape, and adds a small heater with a fan on the coldest nights. Pat Enderly of Virginia Beach, VA: Midwinter lows average 32 F. Pat brings her plants indoors and tucks them into shelving units she purchased online. 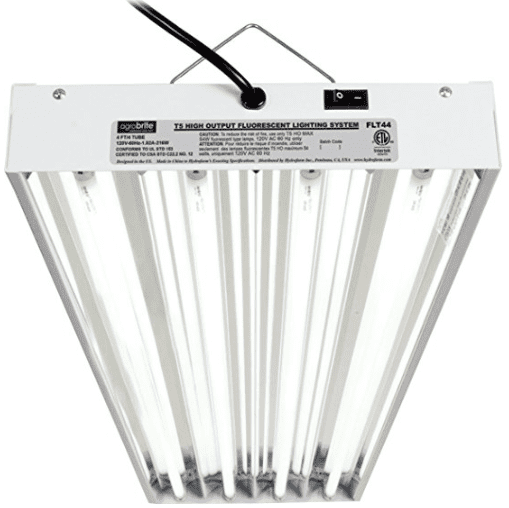 Each shelf has a waterproof tray, and each unit is lit by two T5 bulbs. “They do a wonderful job of keeping my succulents from etiolating (stretching),” Pat says, adding that the lights, on timers, stay on from 7 am to 7 pm daily. Pat moves her succulents indoors in Sept. and Oct. and takes them outside in April. Tenaya Capron of Buffalo, TX: Although average midwinter lows hover above freezing, occasional winter lows may drop into the single digits. Tenaya and her husband built this 24×20 free-standing greenhouse, which they outfitted with exhaust and overhead fans, an overhead heater, and double sliding barn doors on either end. I love the library ladder, don’t you? 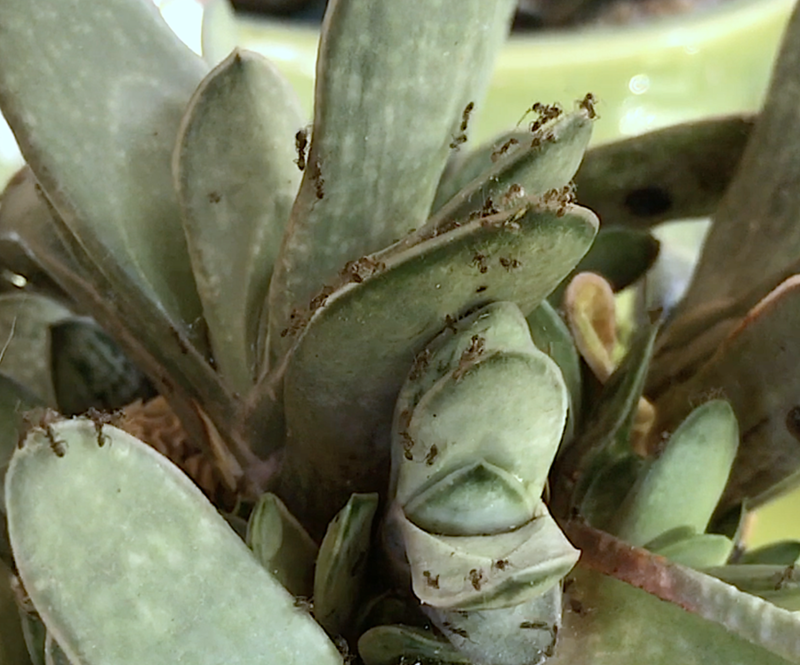 Late summer into fall, Argentine ants like to nest in the root balls of potted plants. Haworthias, aloes (especially dwarf varieties), gasterias and gasteraloes are highly vulnerable. Ants overwinter in the soil and consume the plant’s juicy core. Leaves eventually fall off and the plant dies. If an infestation is well underway—ants swarm when you water the pot or tap it on a hard surface—unpot the plant and wash the roots until pests are gone (you may want to wear gloves). Before replanting in fresh soil, place a square of fine-mesh screen in the pot to keep ants from re-entering the drain hole. I know it’s overkill to buy a roll of screen for a single pot, but really, you should be using it in ALL your pots. It’s surprising how quickly you’ll go through it, especially if you repot your plants often. A role isn’t expensive and you can always share it with friends. Move the plant to a different location and/or surround it with a moat (ants can’t swim). Add water to a bowl or other shallow container and, to keep the drain hole above water, set the pot atop rocks or gravel. Be vigilant until the weather cools in October. Ants “farm” other pests for their sweet secretions. The best preventative is good air circulation. Aphids attack new growth, and mealy bugs (shown below) nestle under leaves and in leaf axils. Spray with isopropyl alcohol (70%). Isolate plants you’ve treated, and trash any that are badly infested. 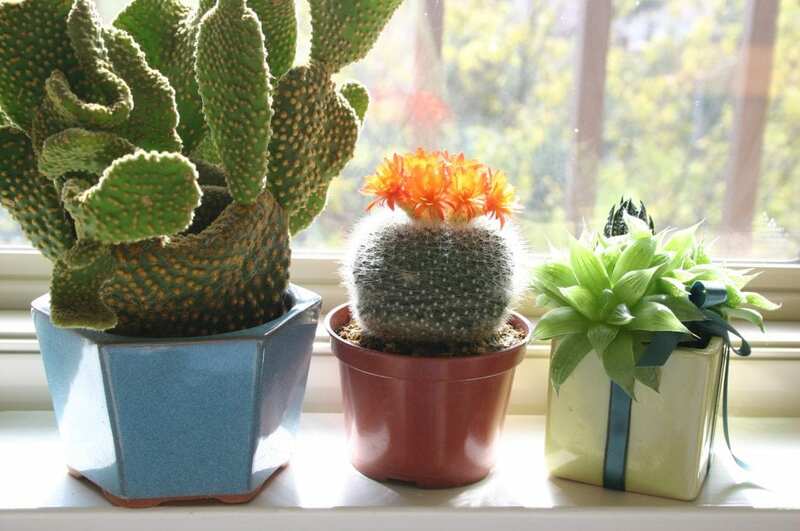 Indoor plants are especially susceptible, so run a fan in the room in which you overwinter your succulents. If you find pests on one plant, be sure to check its neighbors. Succulents—fleshy-leaved plants from hot, dry regions—are designed to live off water stored in their leaves and tissues in order to survive periods without rainfall. But this doesn’t mean you shouldn’t water them at all. In their native habitats, succulents can look pretty ratty during times of drought, and those that are not yet established may not survive. Aim to keep soil about as moist as a wrung-out sponge. About once a week should do it. Water thoroughly to soak the roots and flush salts. For succulents in containers, that means until water drips out the bottom of the pot. Let common sense prevail: water more during hot, dry spells and less or not at all during periods of high humidity, cool temperatures and rain. Do succulents need drainage? Not necessarily! They’ll be fine if they’re not overwatered. It’s not drainage that’s important so much as avoiding root and stem rot, which succulents are prone to if they sit in water. When given less water than is optimal, they’ll draw on moisture stored in their leaves (which is the very definition of a succulent). I water my terrarium succulents by dribbling water onto their centers or inserting a medicine dropper full of water at each one’s base. As soon as I see through the glass at the bottom that the sand is moist, I stop. Underwatered succulents tend to grow very little, which is a good thing because they don’t outgrow the container. You could never do this with most other plants, which when given too little water, will dry out and die. If your area has hard water, use distilled water to avoid salt build-up. DO NOT add a layer of pebbles or activated charcoal to the bottom of a nondraining container, assuming that this “provides drainage.” Water that pools at the bottom of a planted bowl becomes a microbial soup that leads to rot. It’s OK to add lava rock (pumice) to soil or sand to help absorb excess moisture, but don’t assume that it “provides drainage” either. Remember, the point isn’t to provide drainage, but to water the plants so minimally that it isn’t needed. For more about growing succulents in nondraining containers, see my videos, Succulents in Silver (3:58) and Succulent Desk Buddies, DIY (4:15). Succulents do best in areas of winter rainfall that falls intermittently and doesn’t exceed 20 inches a year (of course there are exceptions). When rain threatens to be excessive, move potted succulents beneath your home’s eaves. Place patio umbrellas with concrete bases for stability in the garden to keep rain from soaking your in-ground succulents. Channel runoff away from garden beds. Move and replant succulents in low-lying areas where water puddles. Topdress the soil around the plants with several inches of pumice to absorb excess moisture. The rule of thumb is to let the soil dry out (or nearly so) between waterings. An occasional overwatering won’t harm most succulents providing the soil is fast-draining. If water has collected in a pot saucer, remove it so roots don’t sit in water. The more susceptible an in-ground succulent is to rotting from excess moisture, the higher it should go on a berm or mound of soil. Plenty of sun brings out brilliant reds and yellows in certain succulents, but how much to “stress” the plants varies depending on where you live, the time of year, and the kind of plant. If there’s a good thing about our too-hot Southern California summers, it’s that heat makes certain succulents stunning. Give aloes and crassulas a bit more heat, sun or cold and less water and richer soil than they really want, and they’ll turn brilliant shades of orange, red and yellow. This doesn’t harm the plants, which I deem “well-stressed” when they show the brilliant colors they’re capable of. A case in point is Aloe nobilis, which in my garden grows in nutrient-poor decomposed granite with minimal water. Aloe nobilis. Left: winter (cool temps, bright shade). Right: summer (full, hot sun). In winter, the same plant reverts to green. Such “stressed” succulents—which seal moisture in their leaves as effectively as Glad-Wrap—are fine. They perk up and send out new growth when the weather cools and the rains return. 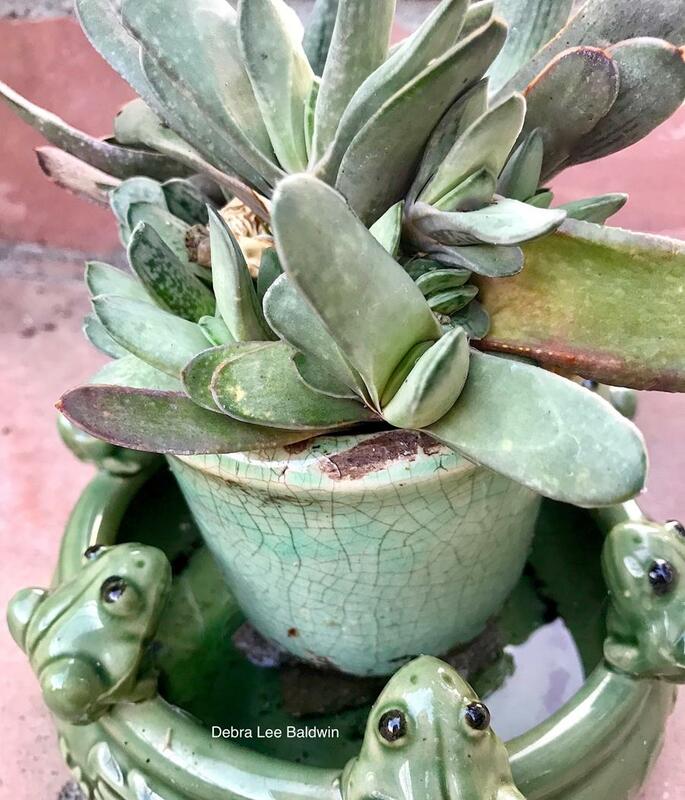 After seeing my YouTube video, “How to Stress Your Succulents…and Why You Should,” a non-gardening friend observed, “I’d probably stress them so much, they’d croak.” Good point. How do you give a succulent the right amount of stress, but not too much? And how do you know which are worth stressing, and which aren’t? Basically, observe the plant. If it’s leaves are margined or tipped in red, it’s a likely prospect. But if excess heat, sun or cold makes its tips shrivel and turn beigey-gray, it’s suffering. Move it to a kinder location, keep the soil moist (but not soggy), and/or repot it. Also check its roots. The problem may be that roots can’t access moisture and nutrients, as in the case of a cutting that’s sitting atop the soil instead of snugly planted. This specimen of Crassula ovata is beautifully stressed (how’s that for an oxymoron?). Its leaves have reddened due to less water than the plant would like plus more cold than jade prefers (frost will turn the leaves to mush, but temperatures near but above freezing reddens them). Most succulents—especially those with fat, fleshy leaves—can last weeks and sometimes months without water, even in hot sun, nipped by frost, and/or rooted solely in gravel. But eventually they need a respite, lest stress become life-threatening. Learn more in my book, Succulents Simplified: “The Well-Stressed Succulent,” pp. 54-55. How to Stress Succulents and Why You Should, my first video now with 80,000 views, gives additional examples and includes before-and-after photos. Don’t let summer sun and heat harm your succulents! Heat, unlike frost (temps 32 degrees F and lower), usually isn’t a concern for succulents. 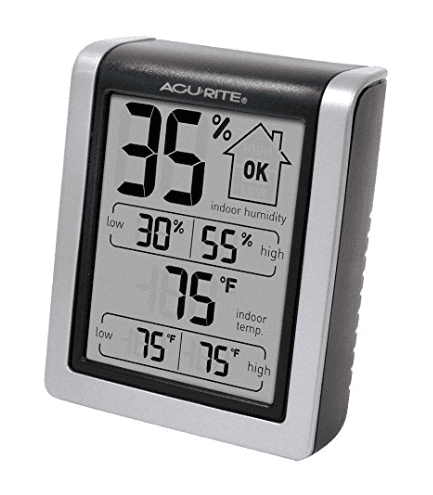 Although some tend not to thrive in temps above 80 or 90 degrees F, the majority can handle more than you’re personally comfortable with…as evidenced by greenhouse temperatures that soar into the triple digits on summer days. However, heat plus sun can be deadly to succulents. Unless they’re desert cacti or agaves, most smooth-leaved succulents need sun protection in summer, especially above 80 degrees. — Know your property’s orientation to the sun. In North America, plants growing on your home’s north side will get the least amount of sun exposure; those on the south, the most. East-facing gardens like mine get morning sun and afternoon shade. Gardens facing west have afternoon sun and morning shade. — Whenever you buy a new plant, notice where it was located in the nursery. Was it out in the open or beneath shade cloth? Even if it’s a “full sun” succulent—like an agave—if it was growing in a sheltered area, it’ll need to be “hardened off” (shaded, especially in the afternoon) until it acclimates. Such exposure is similar to tanning: Start with half an hour of sun and increase it by an hour or so each day. — Because sunburned stems are less able to transmit moisture from roots to leaves, cover exposed, horizontal stems of trailing succulents (aloes, senecios, othonna and the like) with dry leaves or mulch. — Protect newly installed plants and in-ground succulents susceptible to sun-scorch with temporary shade structures. I use old window screens secured with bricks, but you can buy shade cloth at any home improvement store. Leafy branches trimmed from trees works, too; insert branches in the ground next to the plant you want to protect, making sure it’s shaded on the side that gets the most sun. — Plant trees and shrubs that will provide shade where needed during long, hot summer afternoons. (For low-water varieties good in succulent gardens, see the Companion Plants chapter of Designing with Succulents, 2nd ed.). Beige patches on succulents indicate sunburn. Cells have been irrevocably damaged, which turns them white or putty-colored. This looks similar to frost damage, but instead of leaf tips, you’ll see patches on leaves. An otherwise healthy plant will outgrow the damage. If marred areas are on outer leaves, so much the better; new growth from the center of the rosette will conceal sunburned areas over time. In any case, lower leaves, damaged or not, naturally wither and fall off. Depending on the succulent and the season, recovery from sunburn may take several months to a year. Succulents, Sun and Summer. On an 89-degree day in my garden, I show you what’s in bloom and lookin’ good (or sadly dreadful), and explain how to evaluate the health of your in-ground succulents, small and large. Twelve Low-Water Trees for Succulent Landscapes. I help you evaluate garden areas in need of shade and select trees to plant when the weather cools in the fall.